Kyotaku: Koku Nishimura plays traditional Honkyoku music. Old 'cleaned' live recordings which have been digitally mastered. 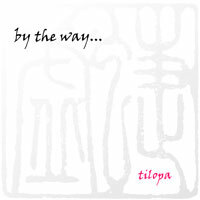 The cd’s of Tilopa are (with the exception of ‘kyotaku live’ which mainly contains traditional pieces) meditative compositions and improvisation on kyotaku in combination with other instruments. They can all be ordered directly from Tilopa. Kyotaku and mostly synthie guitar (fretless and fretted) as well as svarmandal. 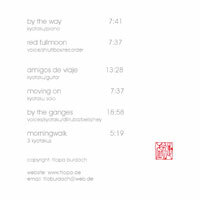 These are live recordings of several concerts given at an art exhibition in Cologne(Germany).